Got a question about our tours? Hopefully, this page can help! Do you have any dates that are sold out? If you would like to book any other date you should be able to do so online if you are booking more than 48 hours in advance. I tried to book online but it says you might be sold out? If you are trying to book a tour within 48 hours of the tour date, it may tell you that we may be sold out. This means you will have to call us to check on last minute availability and hopefully, if we can fit you in, we can take your reservation over the telephone. If you are booking ahead then you will see this message if we are very close to selling out but you can still email us at rich@tourniagarawineries.com with the details of the tour & date you would like and we can check if any spaces have become available. I am not staying at a hotel, where should we meet you for the tour? We have two locations for the start of our tours, when you book if you could indicate that you would like to meet at one of our start locations then we will advise the time and address when we receive your reservation. 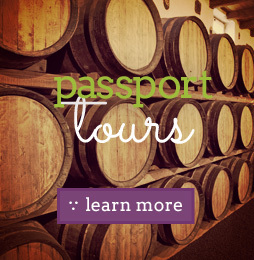 We have 20 Partner Wineries which you can find listed on our "About Us" page, we visit a variety of wineries from this list on each of our tours. We try to include a variety of wineries so you can see all that Niagara on the Lake has to offer, including larger and smaller wineries. If you have any requests of places you would like to re-visit or wineries you have been to before and would like to see new ones, you can let us know at the time of booking and we will try our very best to accommodate requests where possible. What types of vehicles do you have? We like to keep our groups as small as possible so we have a number of mini-vans which accommodate 6 adults, we also have larger vehicles which we use on busy days including 9,11, and 14 Passenger vehicles. To be able to accommodate all of our guests we also charter vehicles to help us on days when we are sold out which include 16, 21 and 29 Passenger vehicles. How many people will be in our group? On our tours, there will be between 2 - 20 people per group depending on the bookings for that day. We aim to have no more than 4 pick up locations (usually less) so that we can get to our first winery as efficiently as possible. 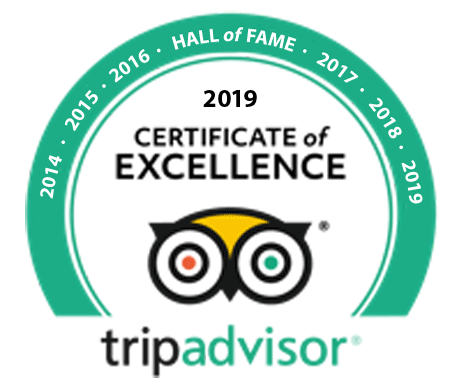 If you would like to book a private tour then you can email us at rich@tourniagarawineries.com for more information on availability and pricing. CANCELLATIONS RECEIVED LESS THAN 7 DAYS PRIOR TO YOUR TOUR DATE ARE 100% NONREFUNDABLE, BUT CAN BE RESCHDEULED FOR ANY DATE IN THE NEXT 12 MONTHS. WE NEED AT LEAST 24 HOURS NOTICE FOR ALL REQUESTS TO RESCHEDULE, WHICH MUST BE MADE IN WRITING BY EMAIL. Any cancellation before the 7-day period is subject to a $20 per person cancellation fee, remaining funds will be refunded. We accept VISA & MasterCard. Prices are quoted in Canadian dollars unless otherwise stated. The individual booking the tour is ultimately responsible for payment. Payment is charged in FULL to the card provided at the time of submitting your tour booking. By submitting your tour reservation and providing a Credit Card Number for payment you are implying that you have read and understood the cancellation policy and are in full agreement with the terms laid out. Your estimated pick up time will be sent to you within 48 hours of us receiving your tour booking. This time is estimated to the best of our ability. On busy days (especially weekends and during the summer months) please allow us 15 minutes either side of your estimated pick up time. We will arrive as close to the estimated time as possible but you MUST be ready 10 minutes prior to this time! All of our tours run on a pre-booked schedule. We advise all of the wineries of our expected arrival time and the number of people so that you can receive the best service possible at each location. Your guide is with you for the day to ensure we stick to that schedule as closely as possible to enhance the experience of all of our guests. Your guide will give you a 5-minute warning when we are preparing to leave each location so that you have time to make any purchases that you wish before we move on. We request that all of our guests are aware and respectful of our schedule to ensure the enjoyment of all of the guests in your group. We allow 30-45 minutes at each winery for your tastings, and 1 hour at the winery where we take the full facility tour. We allocated 1.5 hours for Lunch and Dinner at our partner restaurants. Please note on busy days these times may be extended. We love hosting all of the guests that put their trust in us to guide them around Niagara Wine Country! We want everyone on our tours to enjoy their day, learn about winemaking and the area, and taste some amazing local wines. Grape Escape Wine Tours asks of you that you and your group will be respectful of other guests that may be in your group along with other patrons of the wineries and restaurants we may be visiting. We reserve the right to ask any individuals disrupting a tour to modify their behaviour, and in certain situations remove the individual or whole group from the tour. In this instance, the person/s removed from the tour will be responsible for seeking transportation back to their hotel or start location and no refund will be given for any part of the tour missed. In order to participate in all trips and activities with Grape Escape Wine Tours, you hereby agree that you will not make a claim against Grape Escape Wine Tours Inc. and give up the right to sue for any injuries or damages howsoever caused. 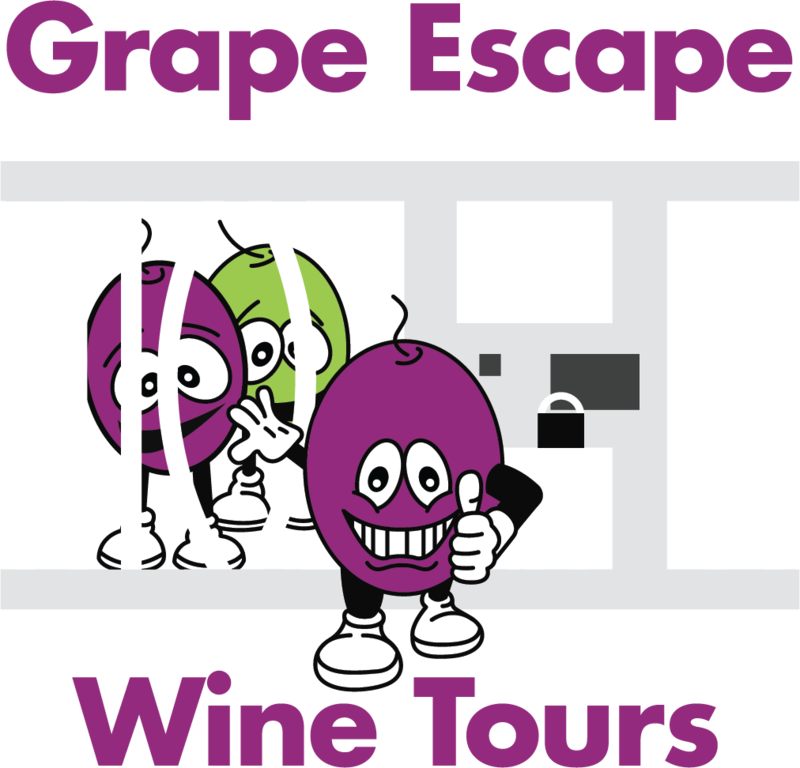 You acknowledge that the activities arranged by Grape Escape Wine Tours Inc involve inherent risks and dangers that may cause serious injury and possible death to participants. If you are booking a bicycle tour, you attest that you are physically capable and sufficiently trained to ride a bicycle and that you agree to obey all Ontario Highway Traffic Act Laws. You agree that you fully understand the risks and dangers associated with the participation of your group in the activities arranged by Grape Escape Wine Tours Inc. and ALL members of your group accept them at their own risk. You also agree that this liability declaration limits the liability of the company (Grape Escape Wine Tours Inc.) and to the same extent limits all agents and employees of Grape Escape Wine Tours Inc. even though they are not formal parties to this agreement. Grape Escape Wine Tours reserves the right to change the departure time of your tour. If we do so we will provide a minimum of 24 hours’ notice. You agree to monitor emails from us made to the address provided on the reservation form for updates in the lead up to your tour date. Grape Escape Wine Tours also reserves the right to change any routes, schedules, wineries, or restaurants planned to be visited during your tour without notice should situations arise where this is necessary. All reasonable efforts will be made to honour the originally communicated plan. By participating in the activities organized by Grape Escape Wine Tours, you accept that any personal property left in any vehicle, bicycle, or at any location throughout the tour can only be returned (should it be found) at the sole expense of the guest. Grape Escape Wine Tours Inc is not responsible for any lost property throughout the duration of the tour. We also encourage our guests to purchase any wines they enjoy throughout their tour as not all wines that you sample will be available outside of the winery boutique. We ask all of our guests to check they have all of their correct purchases at the end of the tour before leaving their tour guide as any missing wine purchases will not be replaced.